Lawn Daijingu, the festival of popular name-turf Shinmei is famous for it to be held long period of really 11 days of every year September 11 to 21 days. 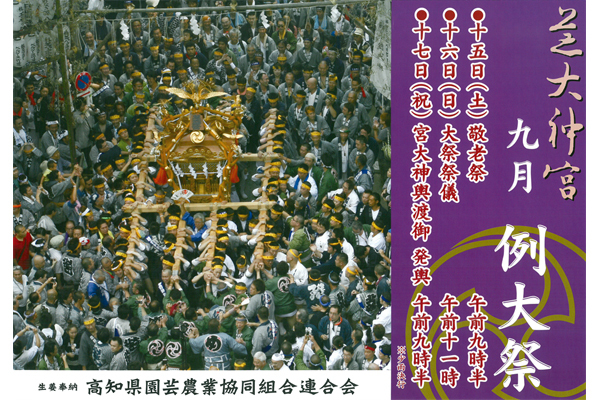 This Shiba Daijingu, the festival of popular name-turf Shinmei is famous for it to be held long period of really 11 days of every year September 11 to 21 days. 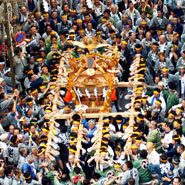 Is said to be "Kanto of Ise-sama", because the worshipers were gathered from all over the country, holding period is longer, Edo so much is bad-mouthing because subsequent long festival, was nicknamed the "lazy Festival". 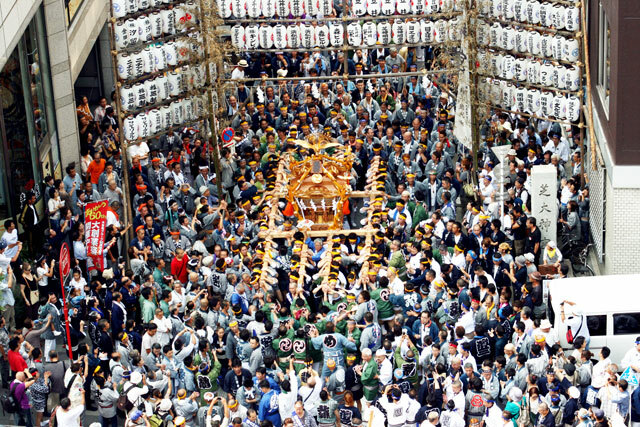 Festival China and Japan, the upcoming 14 to 16 days is the best, once in a few years, Union shrines of the temple shrine and the parishioner each town council will take place. 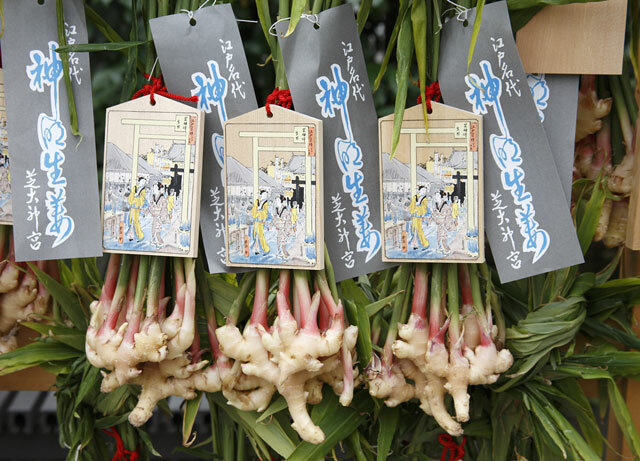 Specialty of this festival is the ginger (ginger) city. Neighboring districts farmers brought the ginger, Toka starts was sold to thriving in the precincts and approach. 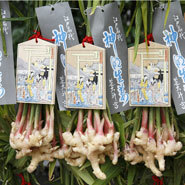 The ginger has the effect of antidote to poison, that Yui Shōsetsu is but was flushed with poison to Tamagawa when he caused a treason to the Tokugawa shogunate, the old woman is the Edo citizens in order to have washed the ginger is survived by chance in the clean water story is transmitted, now sold in the festival of this turf Shinmei. 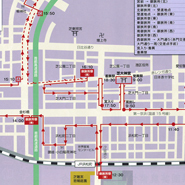 Staged by "Megumi of quarrel" in Kabuki seems to have happened in those precincts. This play is, the four-star vehicles one-party is a sumo wrestler of Tatsugoro led by Edo fire brigade of Hamamatsu-cho, "Megumi" Daihachi, nine Yongsan NamimigiEmon et al and conflict, also broke up with your relationship Tatsugoro is cute wife of head is the story of happily reconcile was trying Majieyo the Desperate of battle in the intercession of the boss of the town. This incident, in fact, seems to have taken up time and again in storytelling and drama based on the true story of the Edo era. Of course, the actual incident days, precinct was more widely, things and like today's Amuse-center called such as blowguns and Ageyumi field, Edo people of the playground, which is up to Mizuchaya. 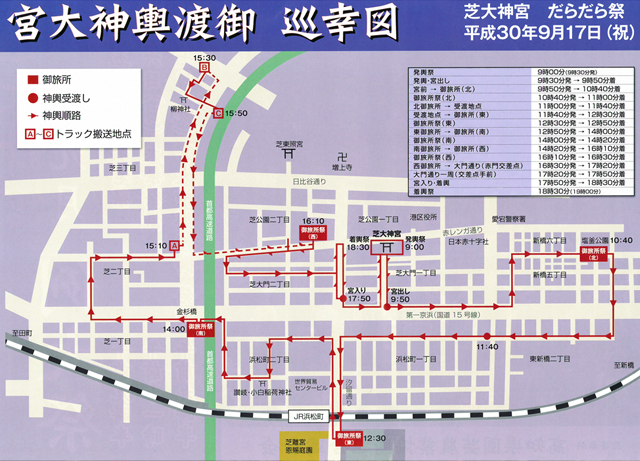 The fight of the "fire and fight the Edo Hana", seems to have been the location of the Bring.